Good thing you stuck with it, Madison. It really turned out well. 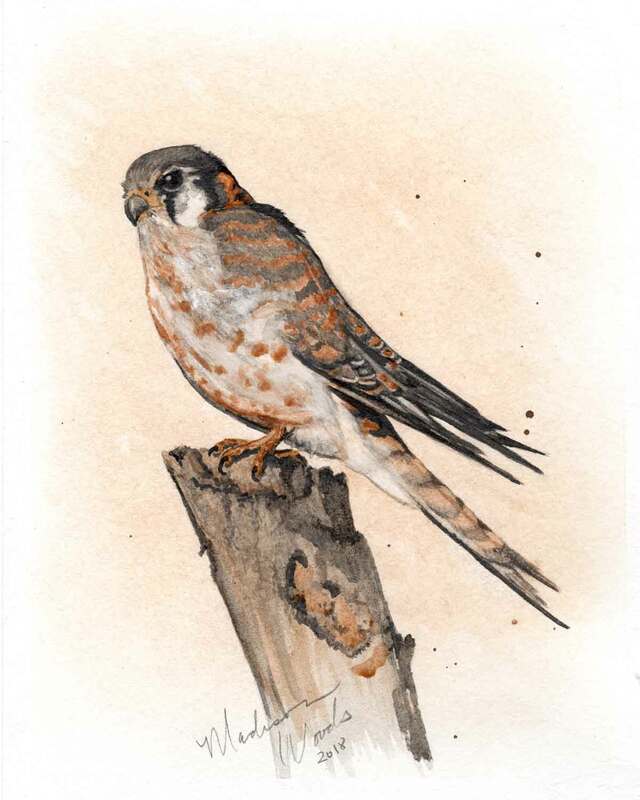 How long until your kestrel flies home? Thank you, Janet. Hahaha, I didn’t even catch the inuendo in your FB comment until reading this one! *Maybe* he’ll get to come home for a week or two in November. But it’ll be until May next year if he stays for one year, and the following May if he stays for two. In the meantime, I should get to go back to visit him too. I just stay busy being a hermit. What I need to do now before I start another painting is yard work. The weeds are overtaking the place.